A nonlegal primer for human resource professionals, line managers, and business executives, this reference discusses the reasons employment laws and regulations exist and the benefits of complying with them. 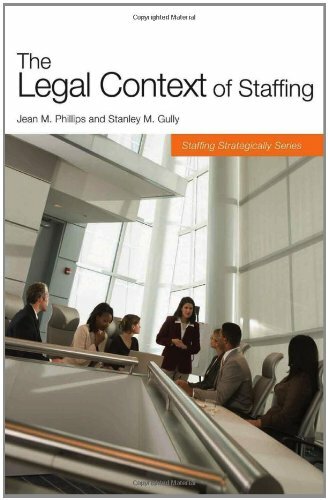 Well-researched and fully documented, this overview discusses key laws, explains the different enforcement agencies, explores bases for lawsuits, and illustrates barriers for legally defensible staffing. This manual also shows how to prevent discriminatory or illegal practices, making it an essential guide for any employer.